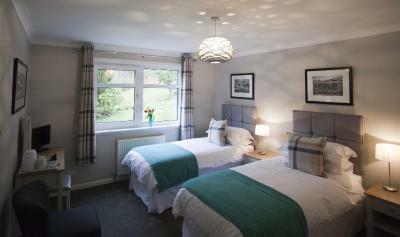 Lock in a great price for The Corries B&B – rated 9.7 by recent guests! Great view. Very clean. Cozy lounge with a fireplace. The free welcome dram was a great detail. The owner was very hospitable and pleasant. The location was very nice and serene. Breakfast was great. Very nice, clean, beautiful location. Breakfast was good. Brodie the owner was so helpful and nice. 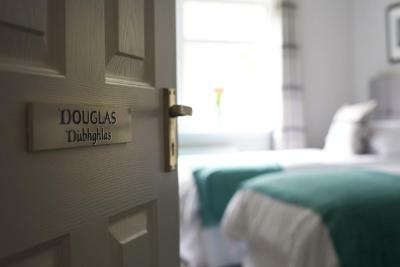 Gracious and helpful host; cozy lounge with lovely view of the Loch; clean, quiet and efficient rooms; unexpected touches like the wee dram if scotch in our room. Very nice welcome from Brodie and he got us settled right away and even made advance reservations for us at the restaurant down the hill, as we wanted to walk to dinner. Breakfast was delicious and everyone was stuffed. The small whiskey sample in the room was a great touch and helped us settle right in! Thanks Brodie! Room decor was lovely, and beds comfy and the Loch view was amazing to wake up to. Didn't spend time outside due to swarming midgies but he sells spray right there which helped-best spray we tried! 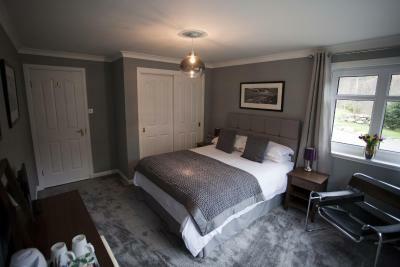 Very nice B&B located near Loch Lomond. Very pleasant and accommodating host. You can also enjoy his photography on the walls! We had to leave earlier than the normal breakfast and he insisted on providing a breakfast for us. The location is lovely with an absolutely beautiful view. Brodie our host was so friendly. The room was spacious and the added little extras like a tasting of Whisky, chocolates, fruit, tea, coffee, wine, beer etc for guests made our stay very personable. We couldn't fault our stay, we just wish we stayed longer. My favorite place by far during the whole 3 1/2 week trip. Brodie was very welcoming, the rooms and beds were very comfortable, and the fact he had dogs just made our stay that much better. It was literally a home away from home for us. We were able to rest and relax and hang out in the common areas. I will come back to this place every time I am in the area, i loved it that much! Best B+B host we’ve ever met. 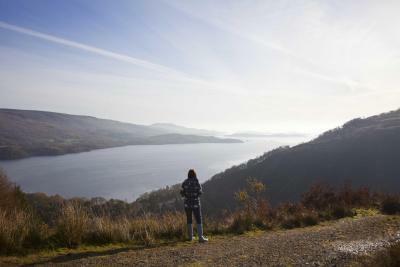 Incredible view of Loch Lomond. Cozy room. So happy to have stayed here. The welcome was very friendly and Brodie went out of his way to look after us, eg early breakfast and help drying walking clothes. Glass of whisky in the room was a pleasant touch. Did not seem like much from the exterior but everything’s beautiful, modern, comfortable and clean within. Breathtaking views at breakfast. 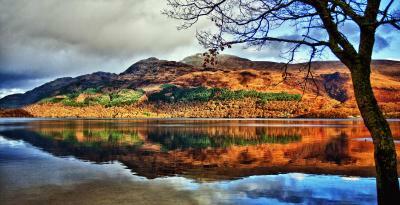 Would recommend this place to anyone stopping over/passing Loch lamond. 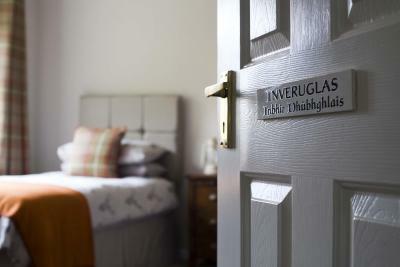 The Corries B&B is located just outside Luss in Inverbeg on Glen Douglas, boasting views of Loch Lomond. 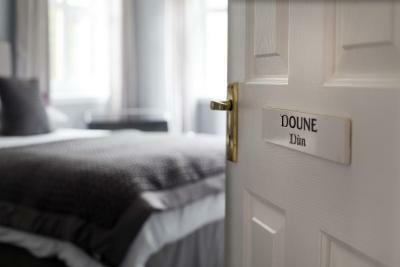 Free WiFi access is available, and guests can enjoy a full Scottish breakfast each morning. 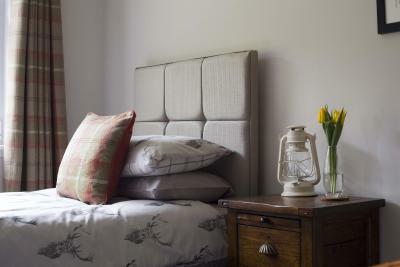 The modern bedrooms come with a desk, a flat-screen TV, a seating area and an electric kettle. 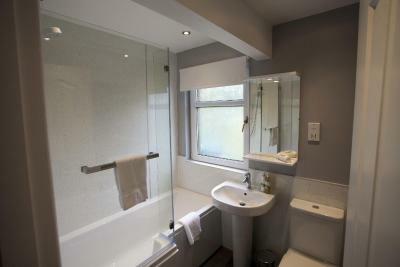 Each private bathroom has a bath or shower, a hairdryer and free toiletries. 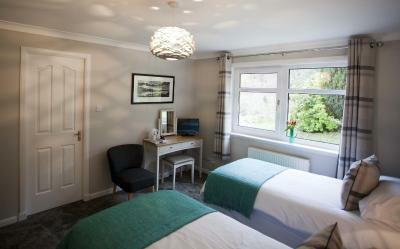 You can enjoy mountain and garden views from the rooms. At The Corries B&B you will find a garden. 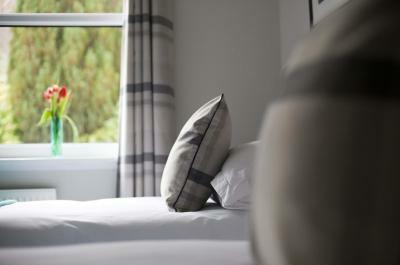 Other facilities offered at the property include a shared lounge, luggage storage and an ironing facilities. An array of activities can be enjoyed on site or in the surroundings, including cycling and golfing. 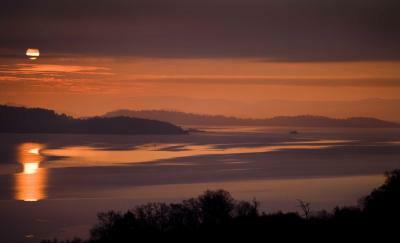 Loch Lomond Golf Club is 6.2 mi from this B&B. The property offers free parking. Glasgow Airport is 25 mi away. 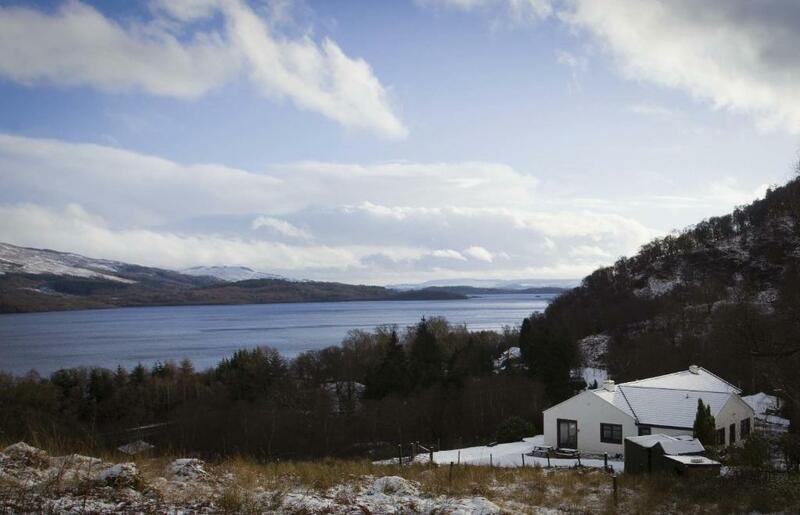 This property also has one of the top-rated locations in Luss! Guests are happier about it compared to other properties in the area. 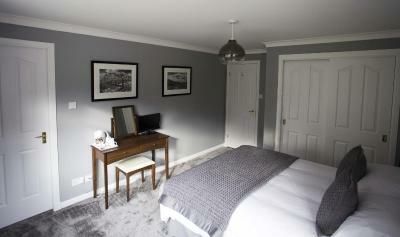 When would you like to stay at The Corries B&B? 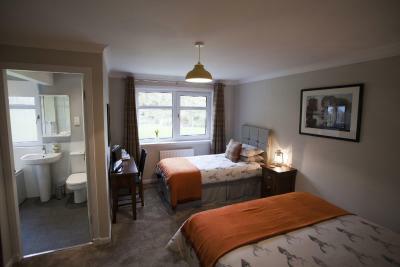 This double room will provide you with a flat-screen TV, a desk, a seating area and an electric kettle. The private bathroom has a bath or shower, a hairdryer and free toiletries. This family room will provide you with a flat-screen TV, a desk, a seating area and an electric kettle. The private bathroom has a bath or shower, a hairdryer and free toiletries. 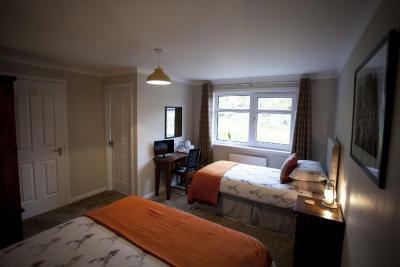 This twin room will provide you with a desk, a flat-screen TV, a seating area and an electric kettle. The private bathroom has a bath or shower, a hairdryer and free toiletries. House Rules The Corries B&B takes special requests – add in the next step! 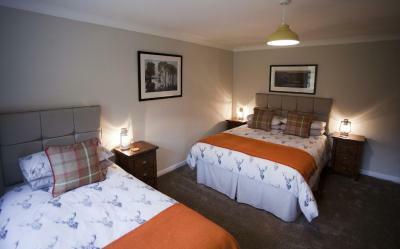 The Corries B&amp;B accepts these cards and reserves the right to temporarily hold an amount prior to arrival. 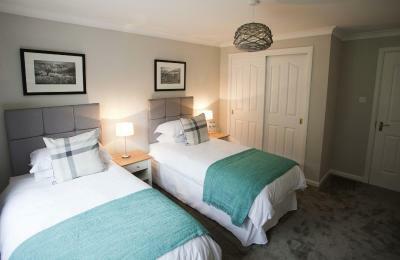 The Corries B&B accepts these cards and reserves the right to temporarily hold an amount prior to arrival. Kindly note the accommodations does not accept children under the age of 5. Guests are asked to inform the property of their expected arrival time if after 20:00. Please inform The Corries B&B of your expected arrival time in advance. You can use the Special Requests box when booking, or contact the property directly using the contact details in your confirmation. Very nice owner and enjoy the stay, like to go in the near future. Nothing really to complain. Only small details. -The room was a bit cold with the standard heating but thanks to the electric radiator provided we were fine. -The bathroom was a bit humid. Very friendly owner, comfortable room, fantastic view of Loch Lomond and Ben Lomond, satisfying breakfast. Close to good restaurant. Great hospitality, thank you Brodie. Accommodation was lovely and the hospitality exceptional. I would highly recommend staying here. Absolutely loved our stay here. 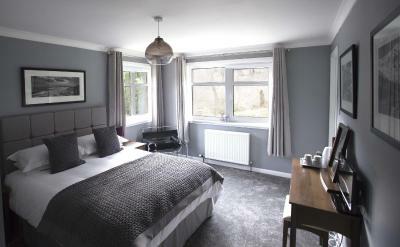 The cleanliness and the comfort of the room, the fantastic views and the hospitality of the owners was second to none. The breakfast was delicious especially the home made marmalade. Will definitely be returning. There was literally only one downside (very minor as it was lovely) the fact it used to be dog friendly but no longer issue to past people obviously not being respectful but we had a 14 week old pup we really wanted wither us bit as I said this is minor as we loved our stay. Lovely rooms and Brodie the owner was a lovely guy and very pleasant,breakfast was lovely too and he was very accommodating,will go back. Not a thing we didn't like. We got a fantastic welcome from Brodie. The rooms were lovely, the home cooked breakfast was excellent and the views were amazing. Would definitely return to this friendly B and B. The only downside really was that we could hear everyone else moving around the house. From the floors creaking to doors opening and closing. Our room backed onto the dining room as well so had lots of noise coming from there. It felt like people were eating breakfast in our room. Now this may be part of the B&B experience- this was our first stay at a B&B so please ignore if it’s the norm. We just found it a bit disruptive in the mornings and that a bit restrictive. I would suggest asking for the room away from the dining room to try and reduce the noise. The entire property was incredibly clean. Everything was spotless. Brodie was excellent to communicate with when our flight was delayed and made alternative arrangements to get checked in. He was lovely. He arranged transport for us to get to a wedding and gave us tips on how to get home too. Not much transport options in the area. The breakfast was delicious and very filling. Beautiful views from the dining room too which just made it that bit more special.